Being invited into that tiny slice of time in a couple’s journey when they are waiting for their first baby to arrive still gets me each and every time. It’s full of anticipation, excitement, nervousness and a whole lot of unknown. That’s the way it should be. That’s parenthood. A lot of unknown coupled with a whole lot of love that will get you through it all. Maternity sessions are so fun for me. 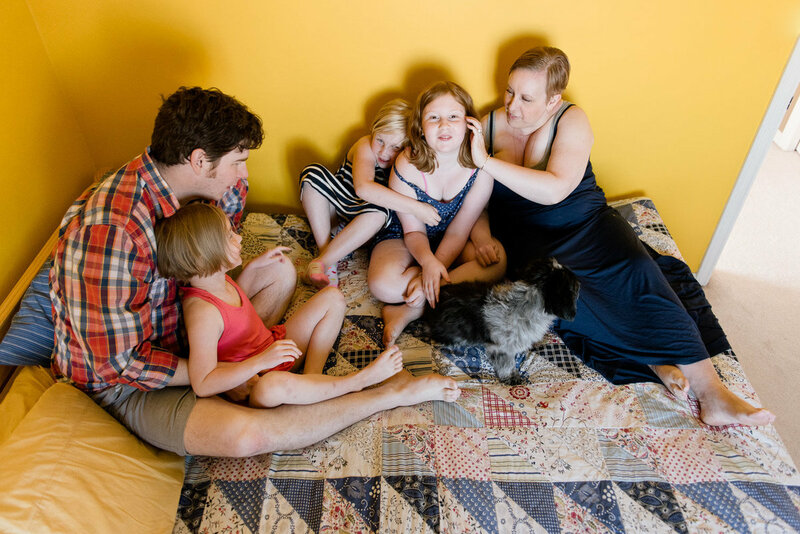 If it’s a first child (as in this session), the session tends to be slow, relaxed and quiet with lots of time to chat and get to know each other. That’s important, because when I come back and photograph that tiny little soul that’s now part of your family, all of the introductions and nervousness is gone. I’m just a friend coming into your house to hang out with you for a few hours (with a camera) and we can pick up right where we left off. We also get a chance to go over all of the little details about the upcoming newborn session. I also love maternity photo sessions as they are a chance to try new things, play with light in fun and interesting ways and do a little bit of posing. Yes, I know, I usually go on and on about how posing isn’t for me – but I do love the challenge of finding unique spots and beautiful light in a home. Little pockets of light. Then, when I get to add a Mama-to-be in that light, I’m a very happy photographer. It’s important for me to do maternity sessions in your home. Home is where your story unfolds, so it’s only fitting that it’s where we will document this new beginning. I want you to be surrounded by the things that you love. The things that have meaning to you. 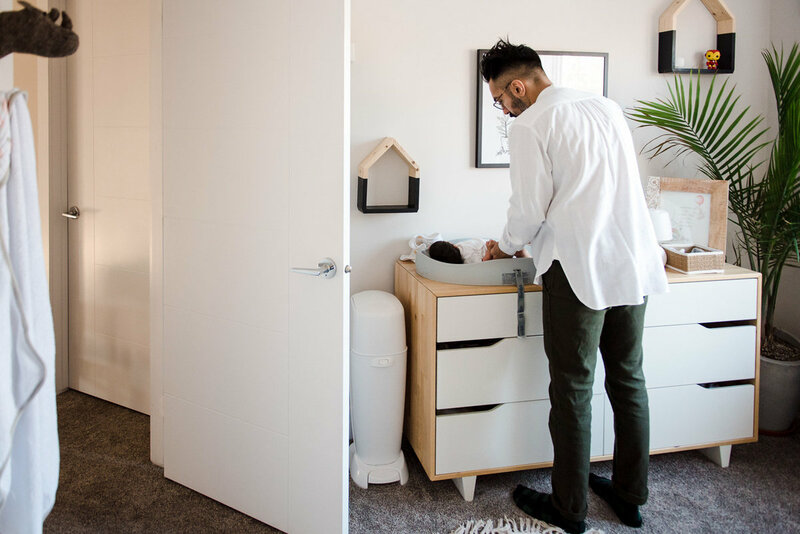 The nursery you’ve poured hours of work into, your fur babies, that chair you know you’re going to spend endless hours in once your baby arrives. Show your baby how his story began. Because at some point, he will ask. I’m looking forward to seeing this family again soon, meeting their little guy, and capturing his beautifully real family moments in the year to come. Thank you A & C for trusting me with capturing your journey. 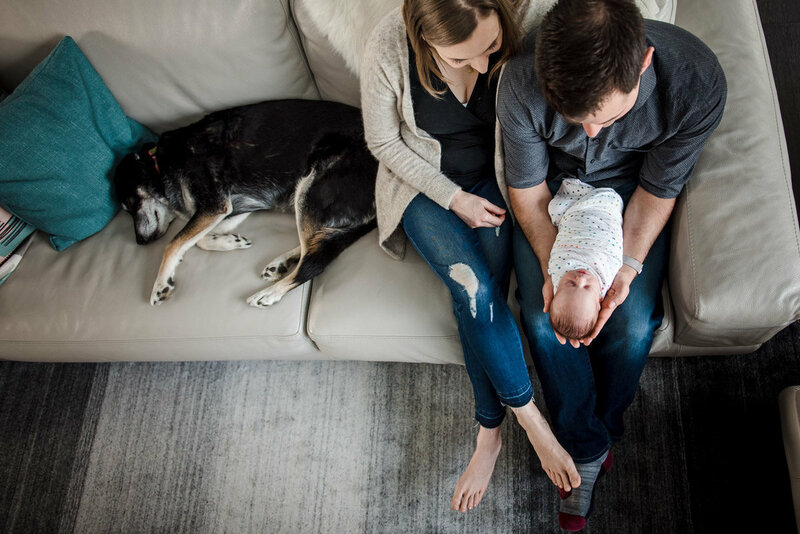 Fiddle Leaf Photography offers maternity, newborn and family photography in Edmonton, Sherwood Park, St. Albert and surrounding areas. Send me a note using the “Let’s Chat” tab and we can chat all about your beautiful growing family. Interested in learning how to use your phone to capture your own beautiful moments? Sign up for the newsletter and receive a free copy of the e-book: You Family. Your Phone. Your Guide to Capturing Beautiful Memories. Be sure to follow along on Facebook and Instagram for all the latest news and images.